Last week a new version of WinJUPOS have been released. The new version 10.0.7 aside of standard fixes and improvements can now compensate also for field rotation that will show up on longer recordings when the telescope is on an alt/az mount. At the moment WinJUPOS can create RGB and LRGB images with planet rotation compensation. It also can compensate for the rotation on a given AVI or image set. With the latest version it also can handle field rotation. This tool is very handy for Jupiter image processing where planet rotation is fast and easily visible on detailed features present in planet atmosphere. 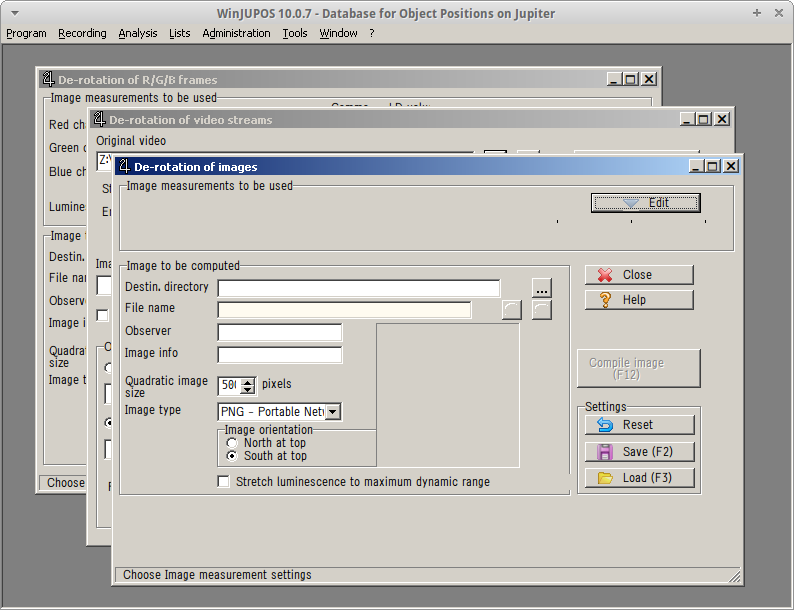 Aside of image processing WinJUPOS offers a nice set of ephemerids, observation planning and analysis tools.